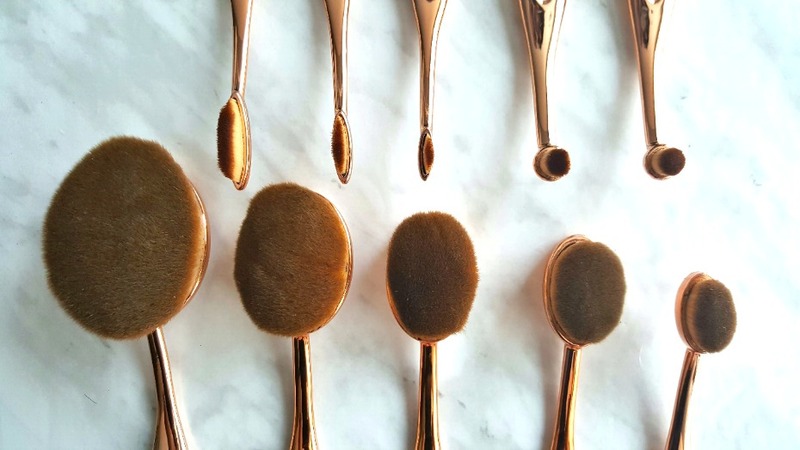 A few weeks ago, I was sent a set of makeup brushes from My Makeup Brush Set - I decided to try out "The Midas Touch", which is a 10 piece oval brush set valued at $39.99. Compared to it's competitor/more expensive dupe, these are only a fraction of the price. I wanted to give these a try and see if they are good quality, whether I even like this new makeup brush concept (the paddle brush type), and whether I would ever decide to invest in the other brand that made these famous. That being said, if you're interested in learning more about my thoughts, please continue reading below. 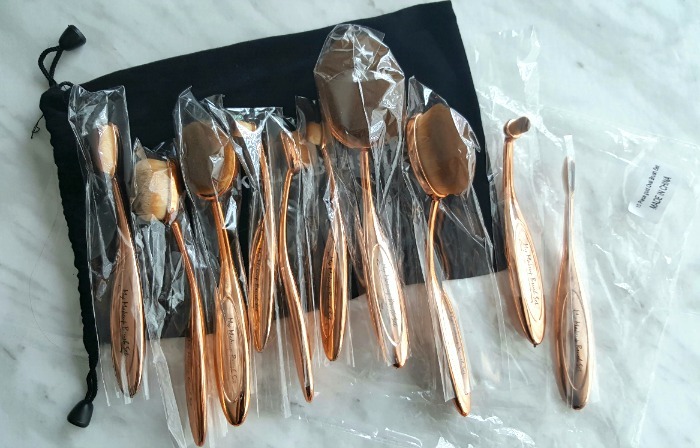 When they first arrive, they are all housed in a black velvet pouch with individually plastic wraps for each brush. None of my brushes got damaged, dented or bent - the bristles held it shape as did the wand/handle. The packaging in the plastic paper wraps did feel a bit cheap, however as it's sole purpose is to really just house the product, I can't complain much more. 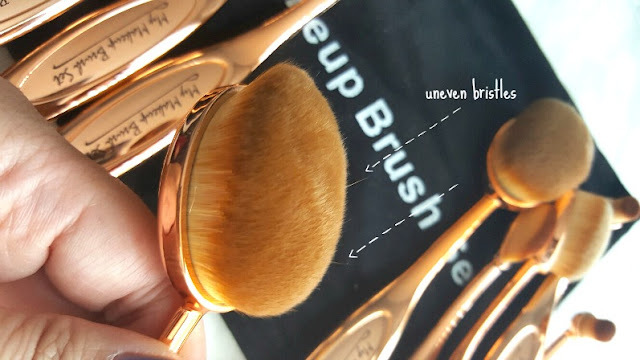 One small issue that I found was that some of the bristles were uneven on the brushes, as seen below in the picture. this is however easily fixed by trimming the brushes with a pair of small brow scissors. 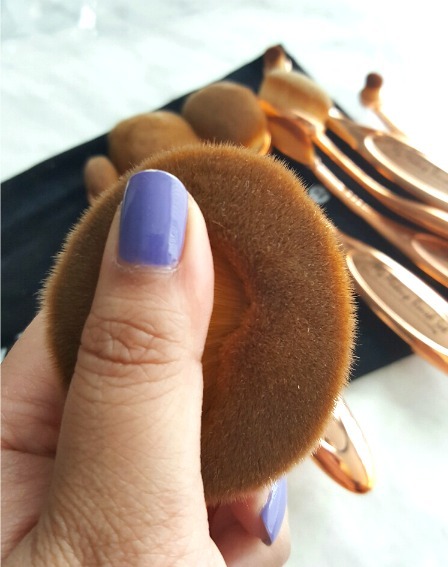 The brushes are densely packed and are really soft, it allowed for a smaller amount of product to be applied evenly and distributed on a thin layer all over my face. My favorite brush is the biggest liquid foundation brush, by using this brush I only needed to use one pump of foundation as opposed to the regular two-three when I either used a beauty blender or kabuki brush. Below you will find all the brushes that are included, and what I like to use it for. My most reached/used brushes are: Liquid foundation, contour, concealer, nose and cream contour. Overall, for approx. 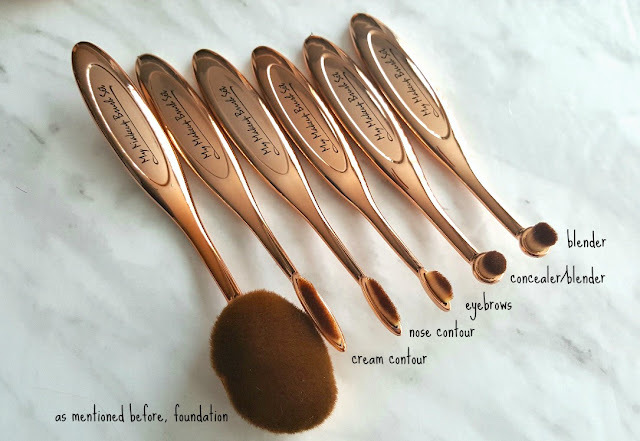 $40 I would say to definitely get these - the price of this one set is basically the price of just one brush from the originating luxury brand. 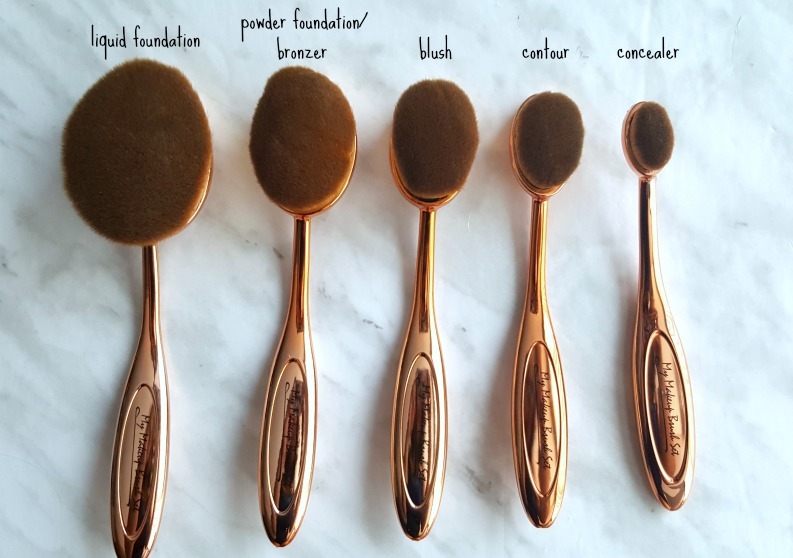 Even if you only reach for 4-5 of the brushes in the set, I still think that it is worth it. 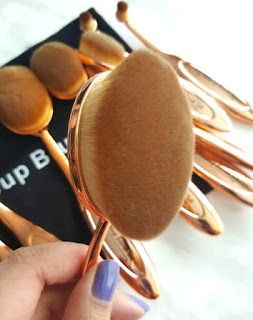 One big con though is the rose gold packaging - as it is a layered product, around the angled brush handle part, because the neck area slightly bends a bit with use, you can see that it is already kind of bubbling up and peeling - eventually I know that a piece will peel off, which may make the brush aesthetically displeasing as it loses the rose-gold finish. I would suggest maybe just getting the black set to start with.